I left Litang toward the south, and I took the shortest route to Shangri-la, but also the most desolate, due to its poor conditions it has very little traffic and long distances between towns where to find a place to sleep. The day I left Litang the forecast announced rain for the next three days, but I went anyway, because I knew that the more days passed worst it was. On the second day it snowed on three occasions, the first two I could stop and take shelter, but the third did not. I was 7 km far to reach the mountain pass of 4675 m and there was not place to stop. It snowed a lot; I had to constantly take ice off from my arms, body and legs. I wore gloves and plastic bags covered my hands and feet, because of my fingers and toes were frozen. I also had a wool cap, visor and hood; and another nylon covered my face, the snow knocked me, almost hurting me. So I cycled for more than an hour up and another 5 km downhill pushing the brakes as mush as possible because the bike skidded on the snowy road. But I tried to be optimistic because I knew that it could still be worse, “if I have a flat tire I am finished” I thought. That evening, as Nico had told me I arrived to a house under construction where Chinese workers offered me a place to stay. There I cooked some food and spent the night. 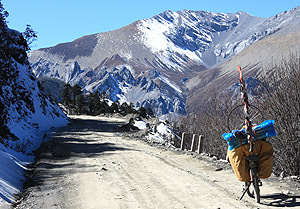 At times I felt that cycling Tibet is a good practice to understand Buddhist philosophy, which teaches that the life is perishable and that everything ends up, to reborn once more, transmute and to evolve again. I felt like this, cycling up and down, time and time again like a cycle, the cycle of life. But the hardest days were yet to come, the Kuluku and Dashueshan pass will be in my memory forever. The night before crossing the Kuluku pass I had slept in Sangui and when I got up I found spectacular snow-covered scenery. To reach the mountain pass took me almost the whole day. On the top I had ice road. There were stretches that I had to drag those 80 kilos that the bicycle weights or even worse lift it up every time I fell down. When I think I had already gotten I see a descent and a very long climb. So I lose the little strength I have and I think that I’m not able to do it. So I take a short break, I eat some dried fruit and I breathe. Then I start to go down to go up again. I have no doubt; the mind has a role much more important than the body. Suddenly I see a house, it seems to be one of those where they exercise some control or something like this. There is none, except a dog which starts to bark me and follows me very close showing me his tusks. I throw it some stones and it let me go. It is the tenth that I meet. Tibetan dogs are big and scary, and they are everywhere. Finally I’m up among the tops of the mountains, with dark snow-laden clouds as the only witnesses. I’m delighted with so much beauty; the scenery is stunning and superb. To be there is like to get a shot of adrenaline. It is the prize to a brutal climb that gives me the power to go for more, in spite of the terrible cold. I do not want to leave, but I have to do it, so I start to go down. The descent is 30 km long, but the road is full of holes. I am scared because I do not feel my fingers so I stop to take off the gloves and rub my hands together. Then night caught me on the road again. Reaching the town I face more dogs. There is no hotel, I still have many km someone tell me. Then I talk to people and find a teacher school who speaks English. She and her friend who is a doctor offered me to sleep in the hospital, it is perfect for me! They cook me some food and after changing another spoke of the back wheel I go to sleep, I’m exhausted. The next night I slept in Rangwu, a village situated at 3300 meters where there is a hotel with hot springs; to take a bath there was wonderful and helped me to recover strength for the next day when I have to cross the most difficult pass: the Dashueshan. That morning I got up earlier than ever, at 6.15 am, it was still dark. I did meditation for a while and had breakfast as every morning: oatmeal with coffee milk, bread with peanut butter and some biscuits. And then I left. According to the info which I had that day I had to cross 3 passes, to 4260, to 4360, and to 4400 mt. All of them in a distance of 60 km, where according to Nico, there were a few km down between each pass and others flats. But actually almost the whole road was uphill. Because of Nico had cycled the same route in opposite direction his descents were my ascents, as well as what I expected that were flat. That day I hardly stopped to take a picture, but even so the light of day was not enough to reach the Dashueshan pass. On the end of afternoon, 5 km far from the top I had no more legs and I could barely breathe, my fingers and toes were frozen again and I was drenched in sweat. And due to the road was in poor condition I understood that the descent would take me quite some time. So I decided to camp at 4300 mt. That afternoon I was a little scared, because since then did not pass any other vehicle and I felt more alone than ever. With the last light of day I dressed all my winter clothes and with the last strength I put my tent and then I started to cook. The cold penetrated my bones thereby I moved all time; I jumped, stretched and even ran. So I prepared some pasta with olive oil which first I had to defrost and I even drank the water with which I had cooked. At 8.00 p.m. the temperature was 5 degrees below zero. Then I went into the tent and when I close my eyes I prayed to do not snow. It was a long night, I spent 14 hours in my sleeping bag, dressed and although I woke up several times and I did not move, until the sun began to light my tent, when I thanked to all the Gods and I got up to start another day. To cross every mountain pass was an epic, where in each of them I left a piece of me. But it was worth it, because I was in one of the world’s tallest place and most impressive, where nature is present in all its glory. Yunnan province was the last part I cycled in China, which according to people is the most attractive province of the country. But after seeing part of Tibet, I do not think it. On my way to the border with Laos, I visited the major tourist destinations such as Shangri-la, Lijiang and Dali, which are very picturesque cities which receive thousands of tourists but also too commercial where a ticket is charged for everything. You have to pay to visit the Monastery in Shangri-la, for the Three Pagodas in Dali, to the main park in Lijiang and even to visit its old town. 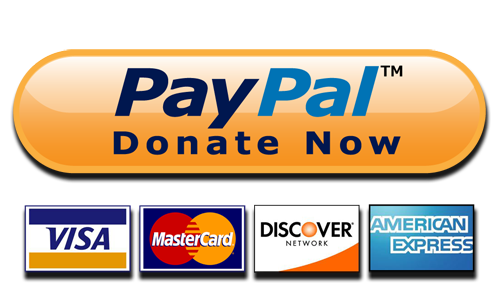 And the price never is less than 15 or 20 USD. 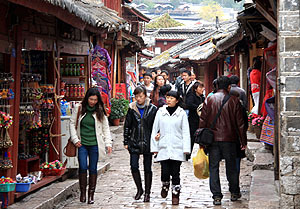 It is an exaggeration if I compare it with the rest of China, where everything is much more affordable or free. But to visit the rice fields in Yuanyang was amazing. 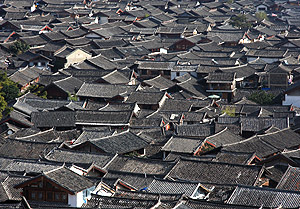 According to Lee, a local guy who I meet there, Xinjie is an ancient village where the Hani ethnic minority lives. 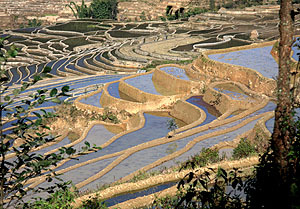 It is believed that they cultivate the rice terraces since at least 1000 years ago. Due to the altitude ranging between 1000 and 2000 m and its climate, paddy cultivation is done only once a year, after the rainy season. Then the terraces are full of water until April, when it begins to sow again. To arrive in this time of the year was perfect. 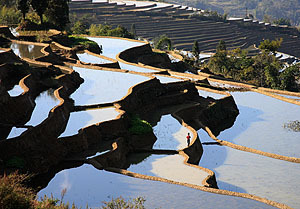 It is believed that Yuanyang rice fields are the world’s largest and most spectacular. Finally I left China after nearly 6000 km pedaled for what I need 4 ½ months. And in despite of cycling through the four cardinal directions of the country when I crossed the border I felt that I had seen very little of what actually is this amazing country. I carry the best memories. Undoubtedly China is a place to go back.